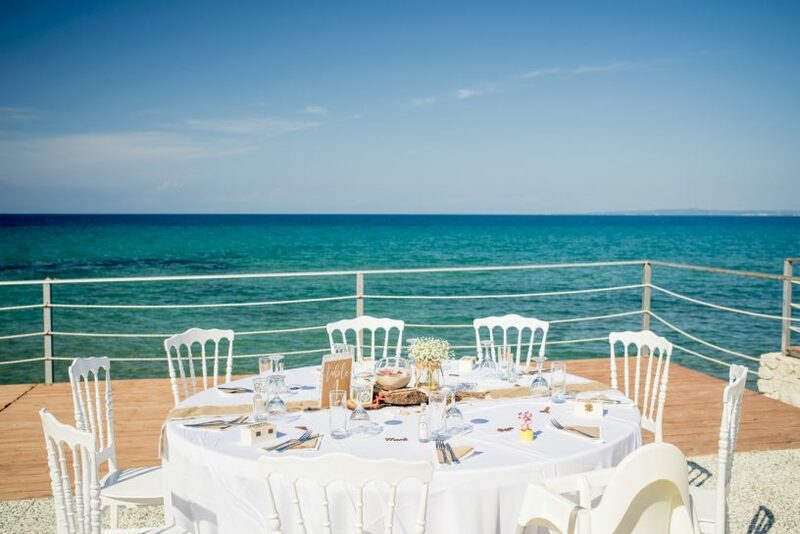 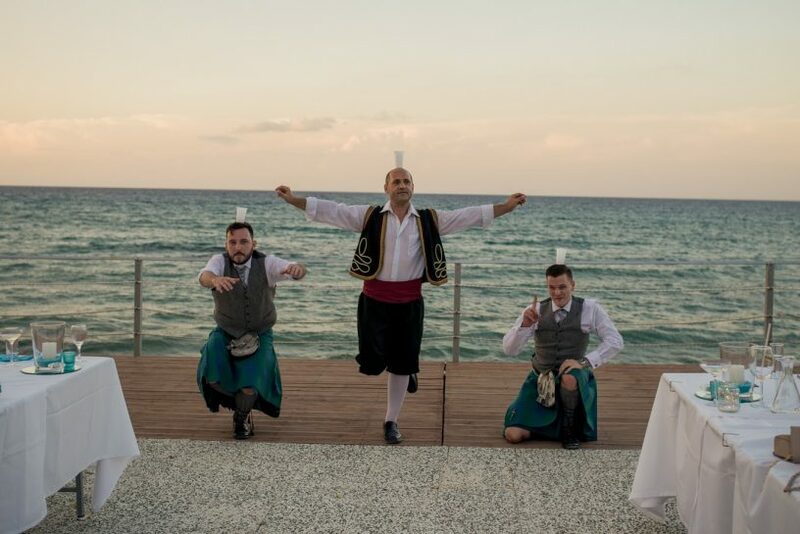 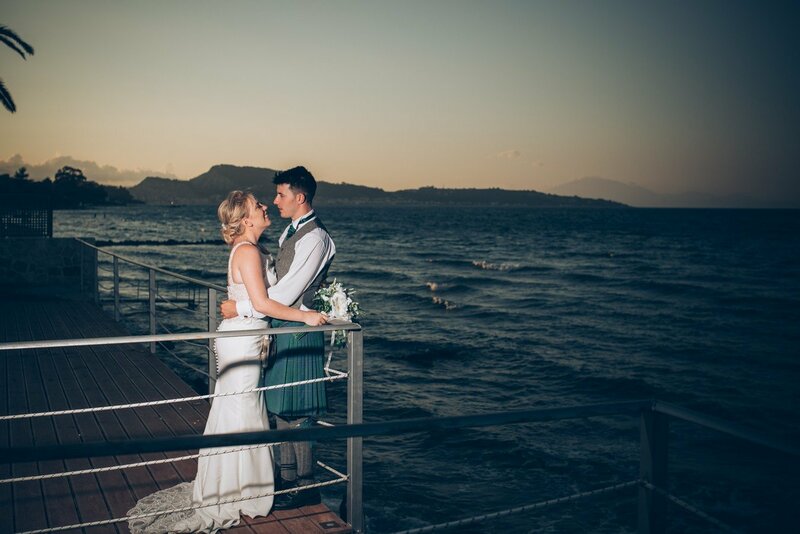 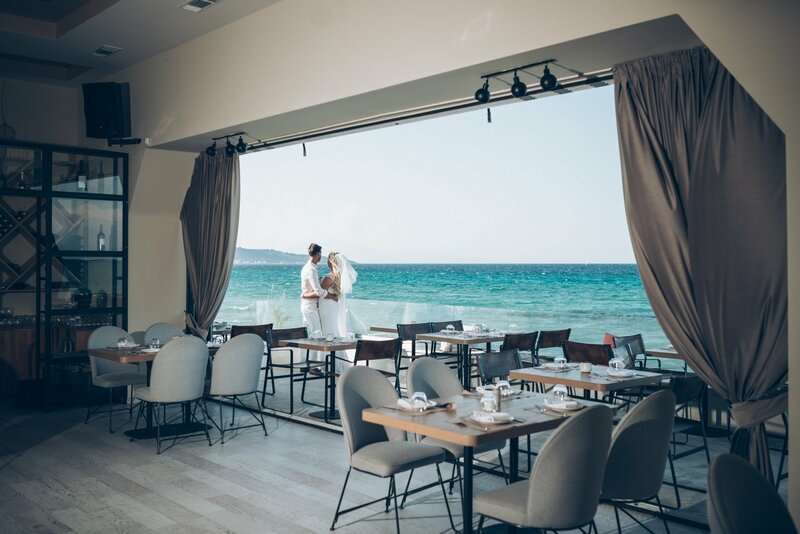 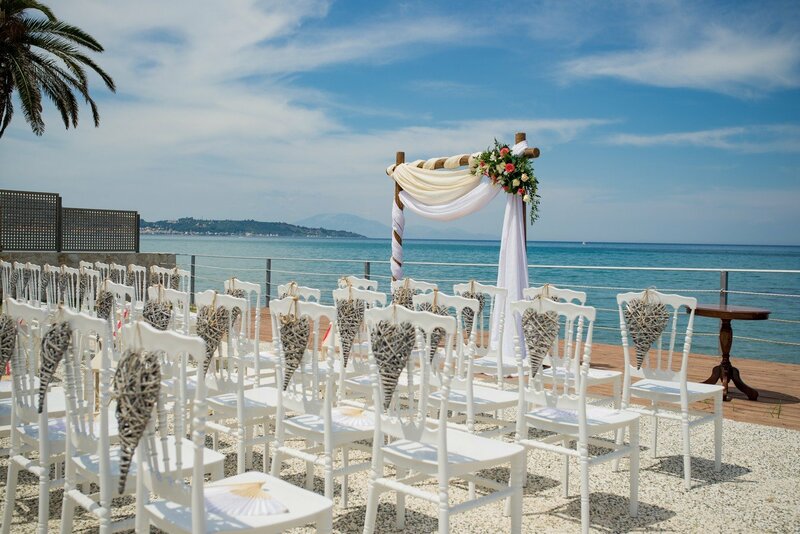 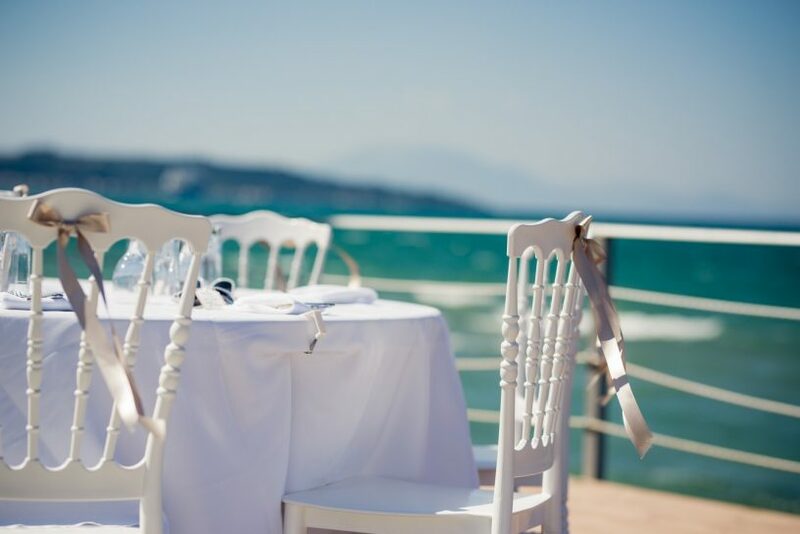 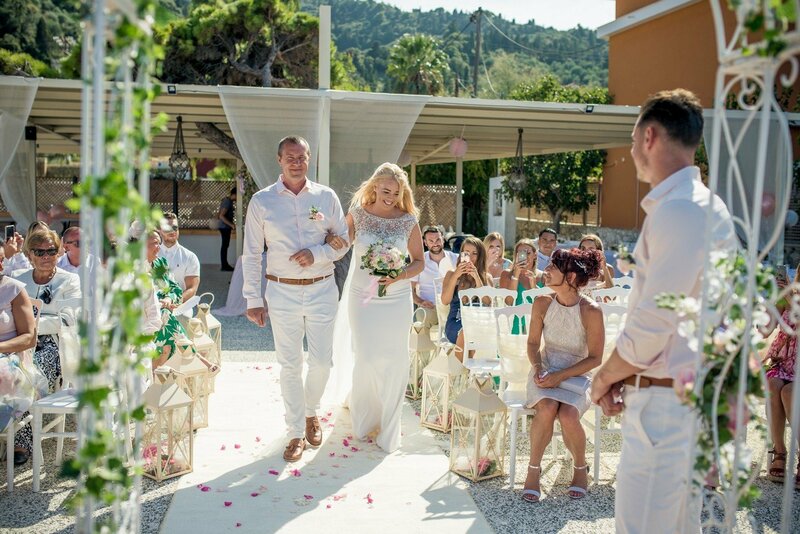 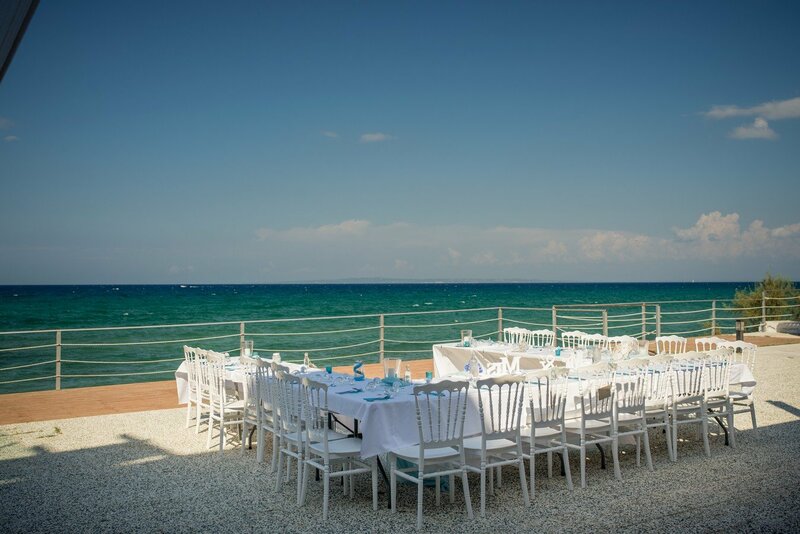 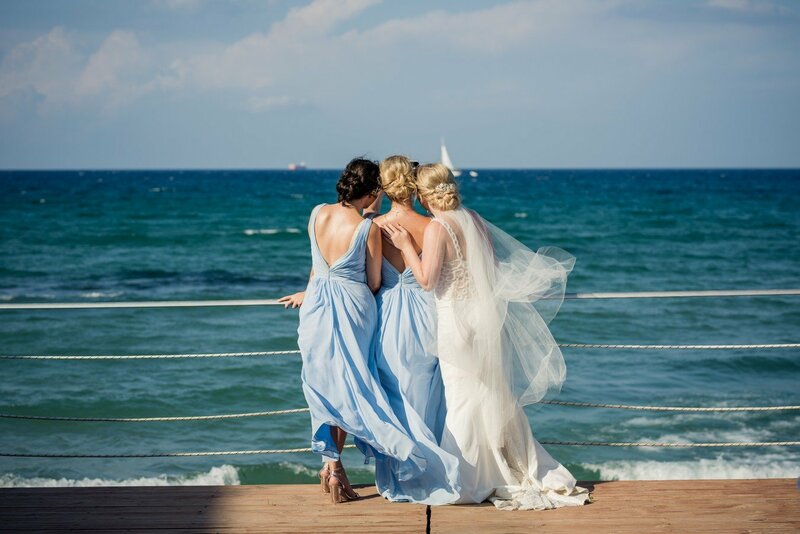 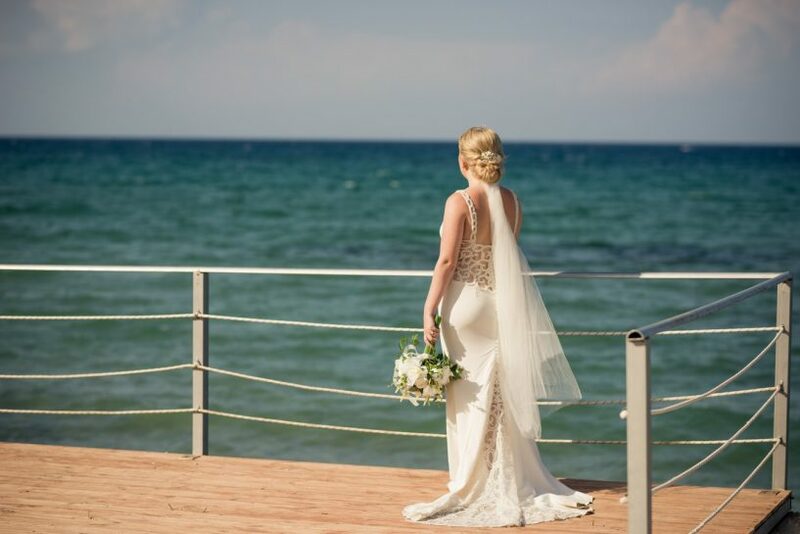 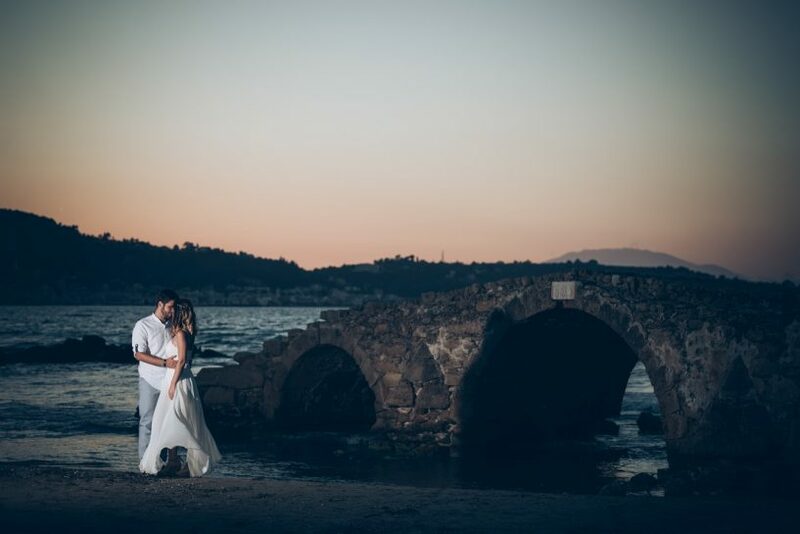 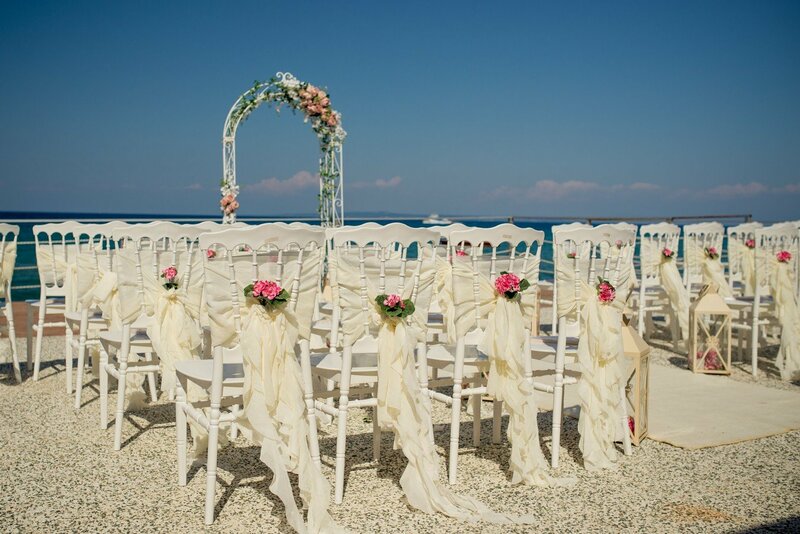 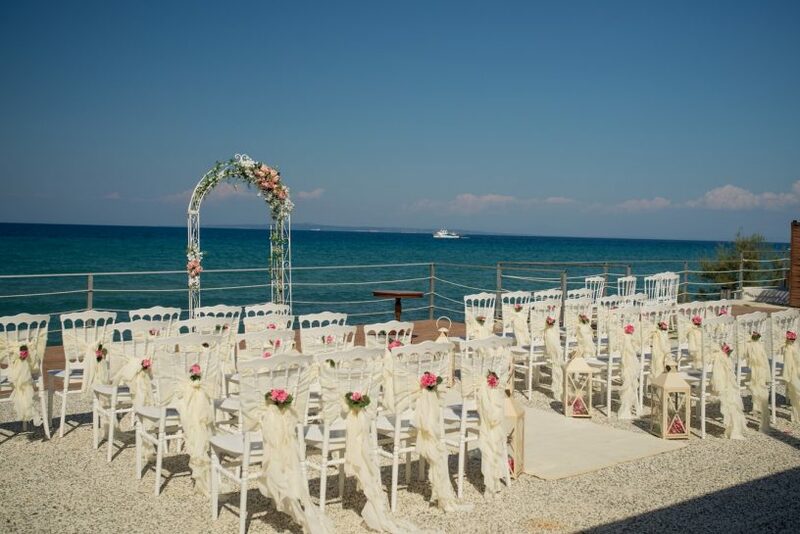 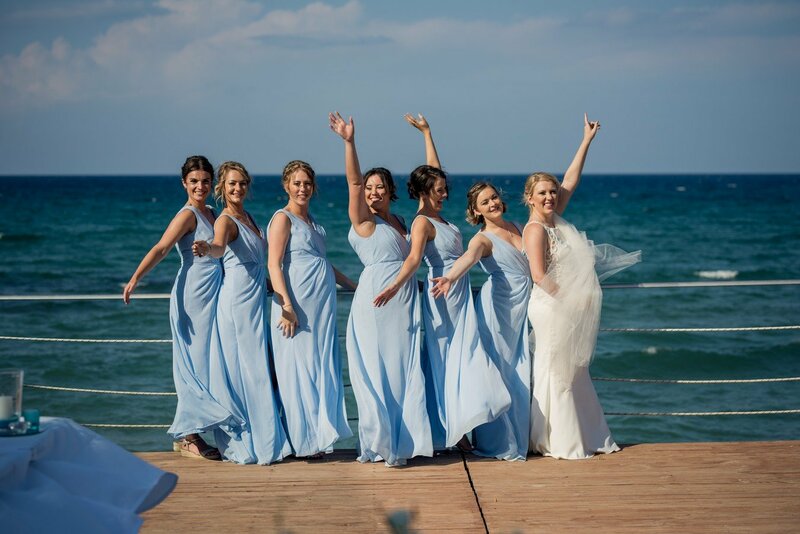 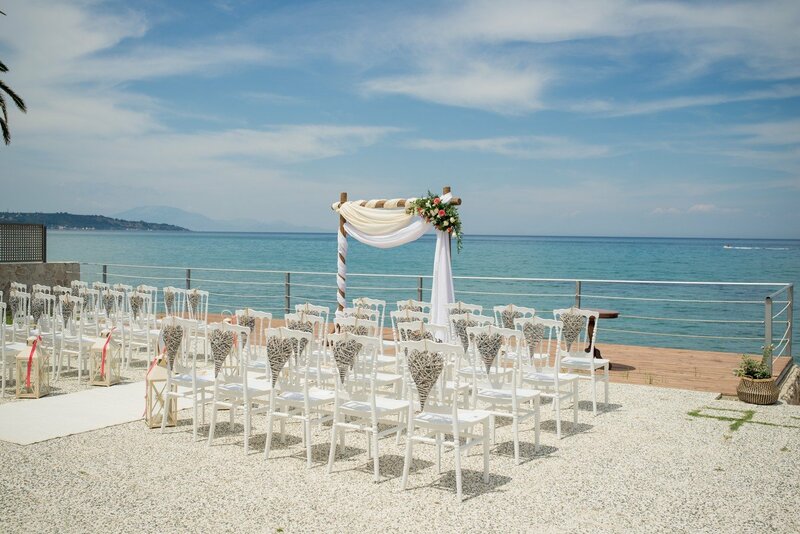 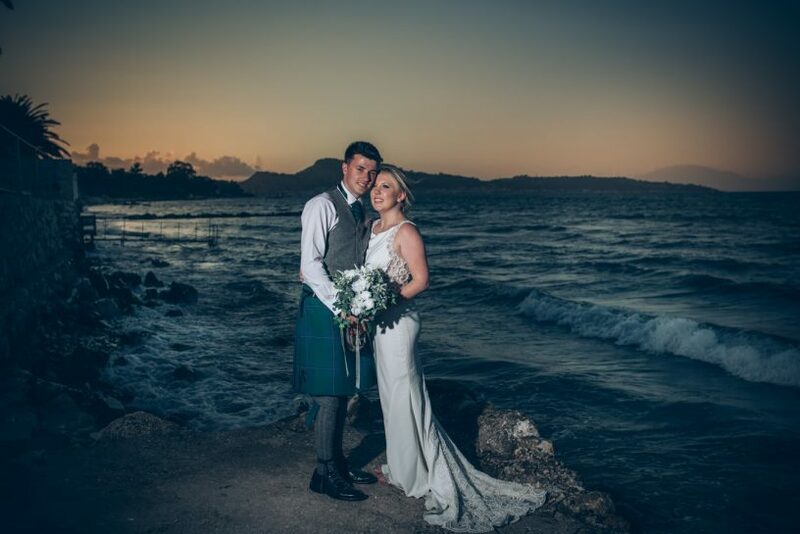 Overlooking the skyline of Zakynthos town this venue offers stunning views out to the mainland. 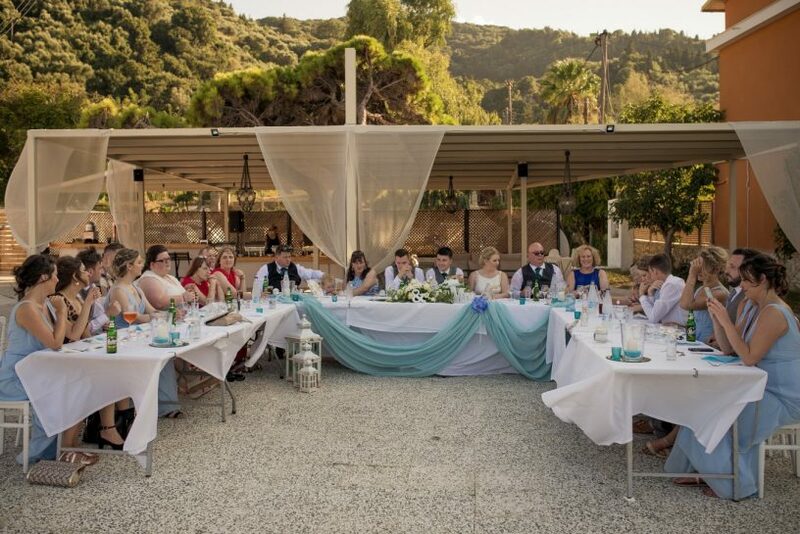 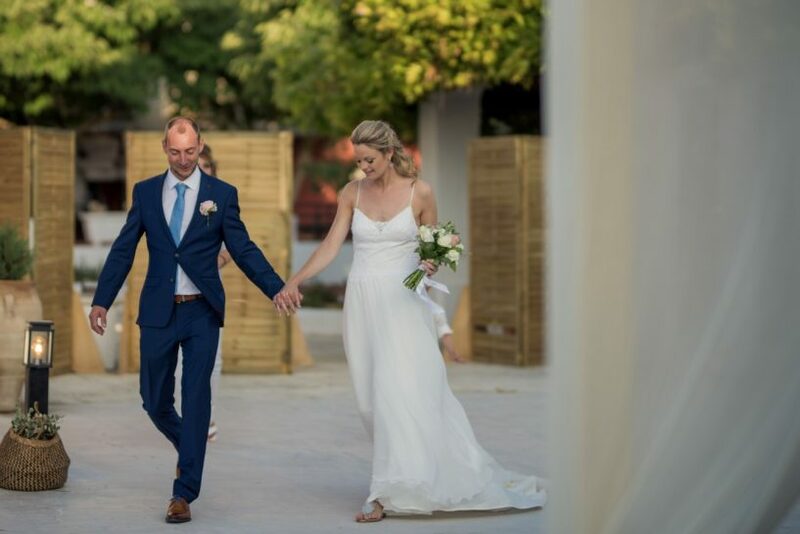 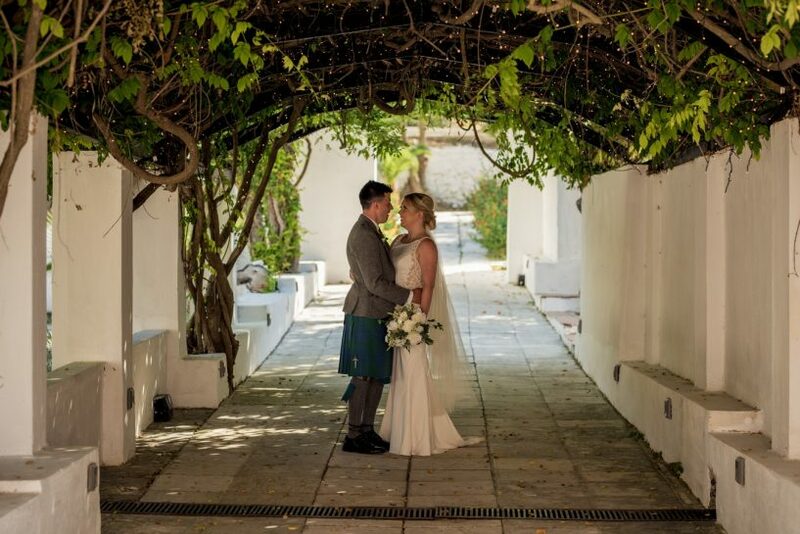 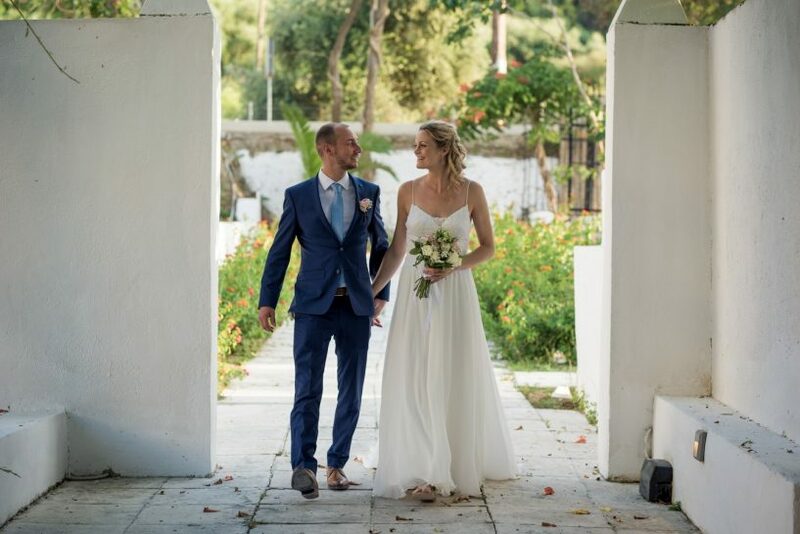 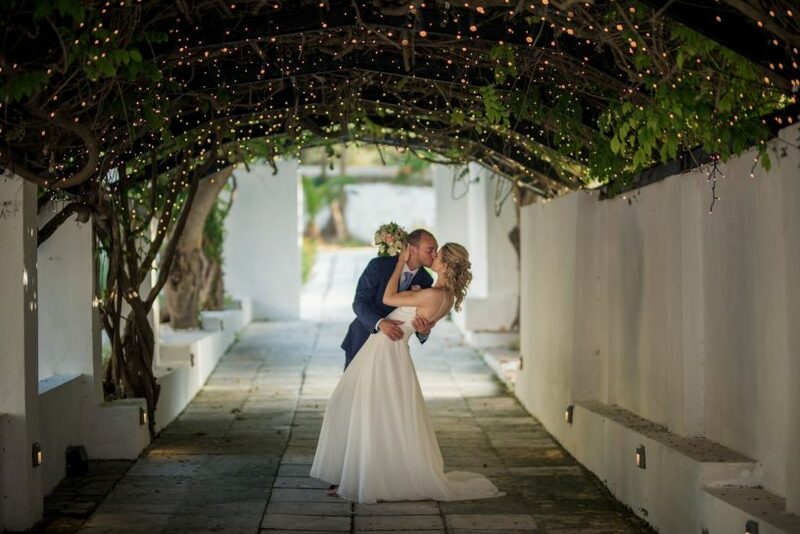 The venue caters for private wedding parties in a laid back atmosphere with a modern twist. 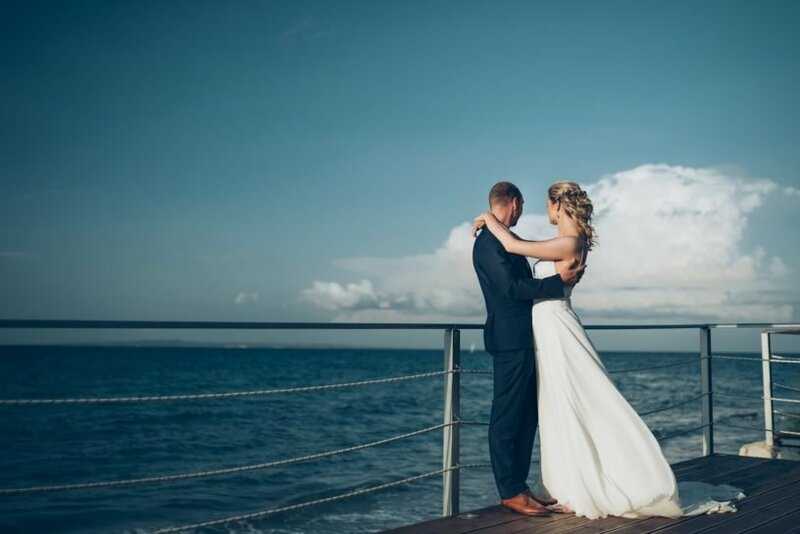 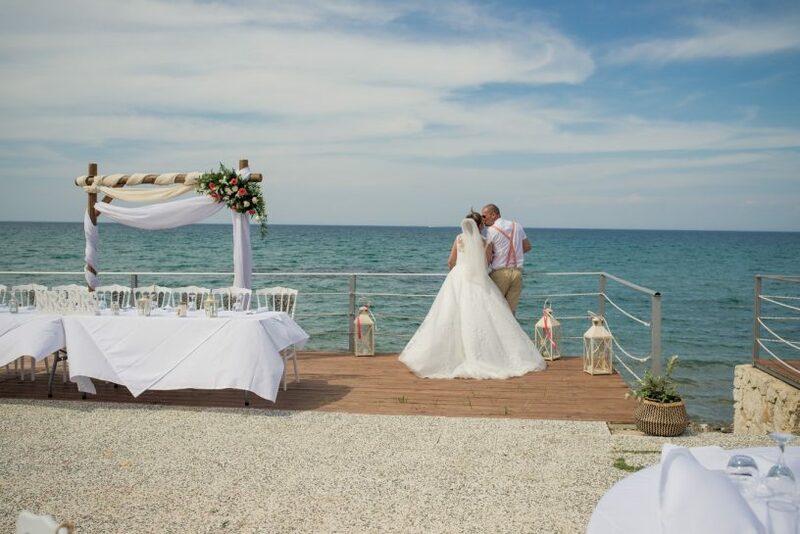 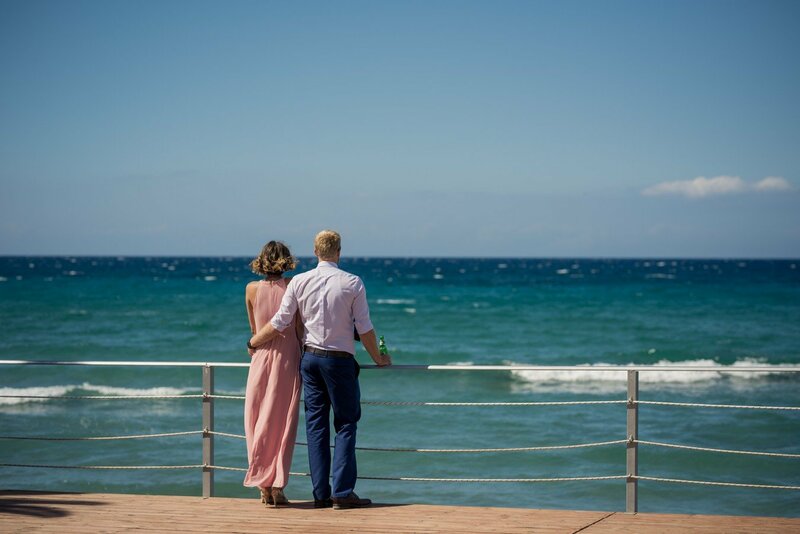 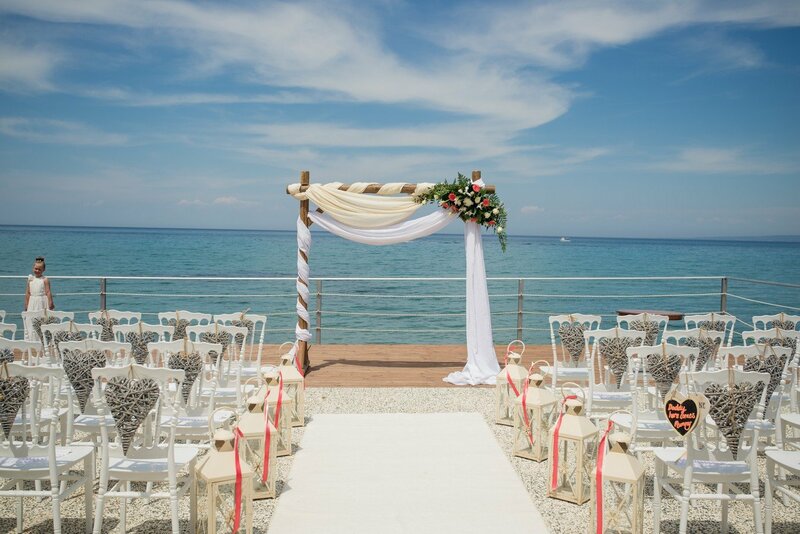 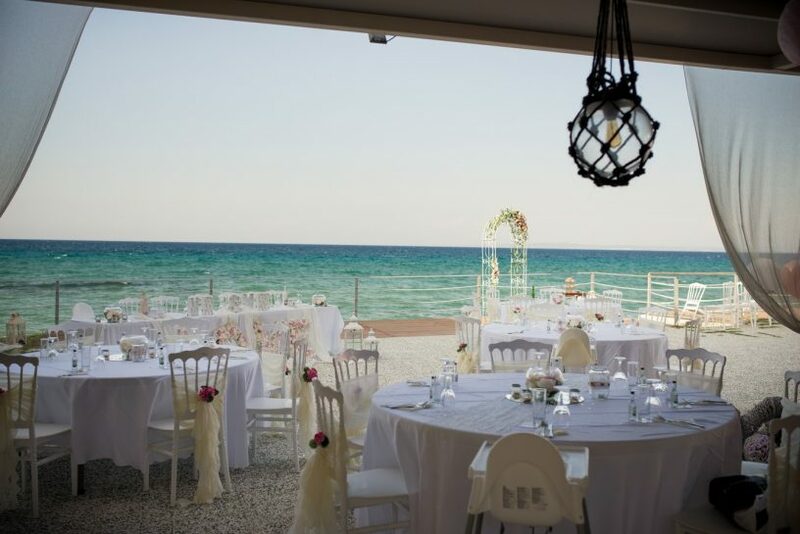 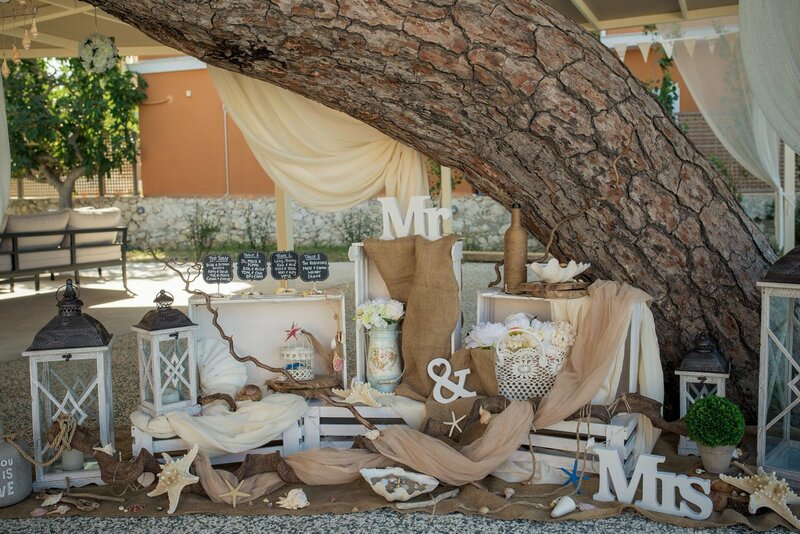 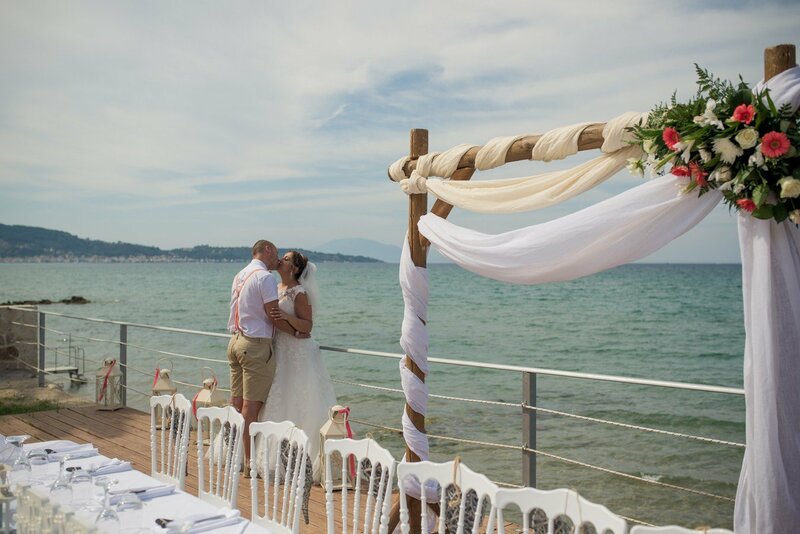 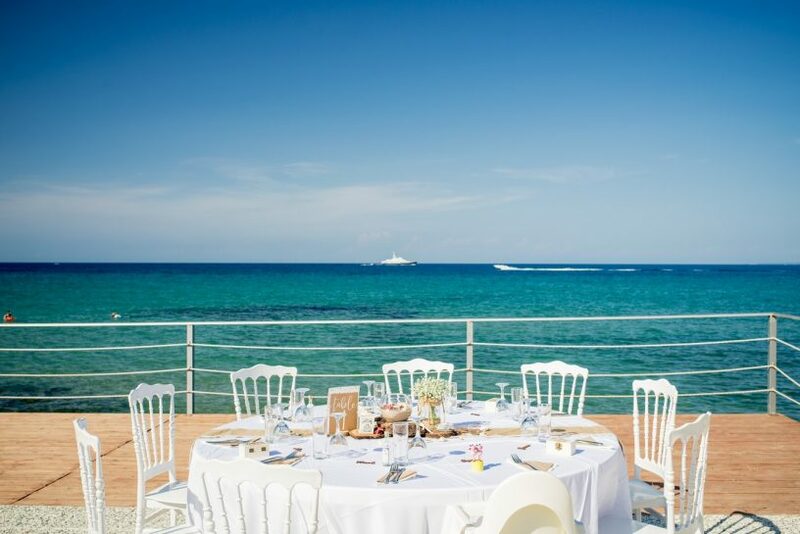 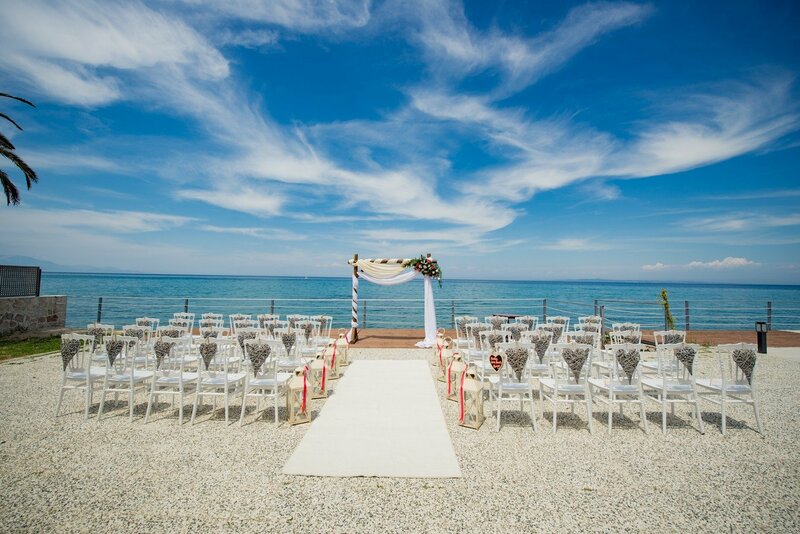 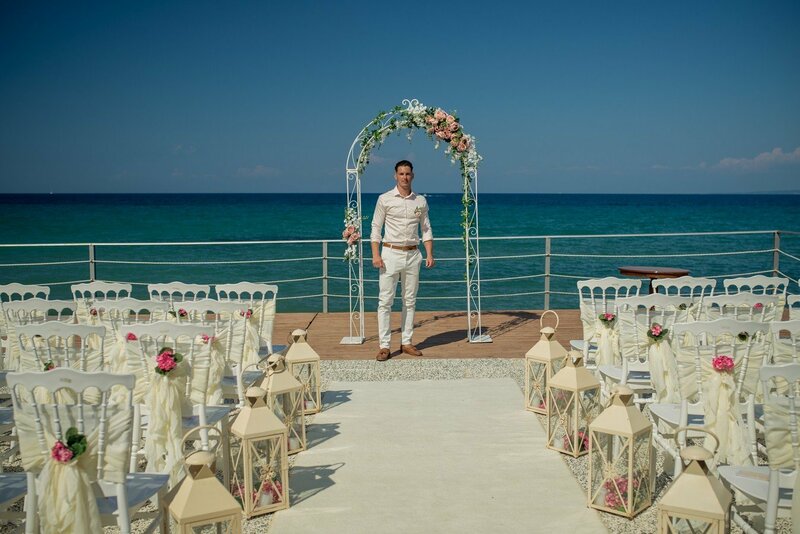 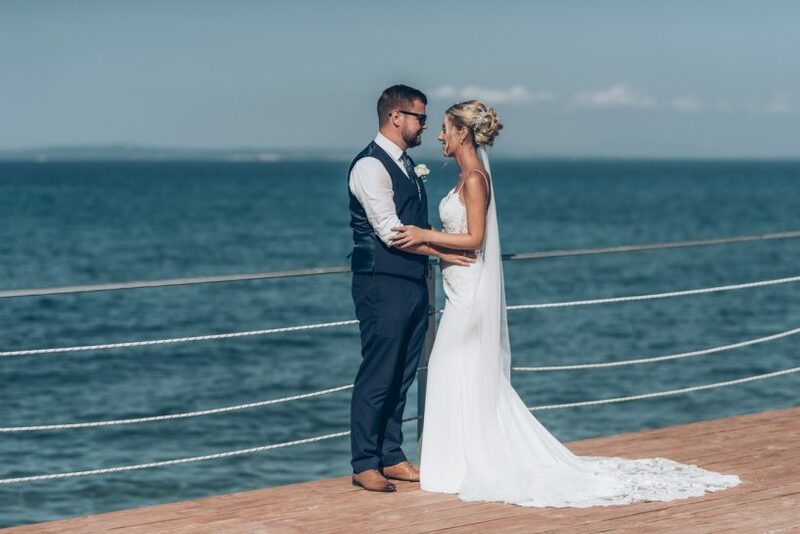 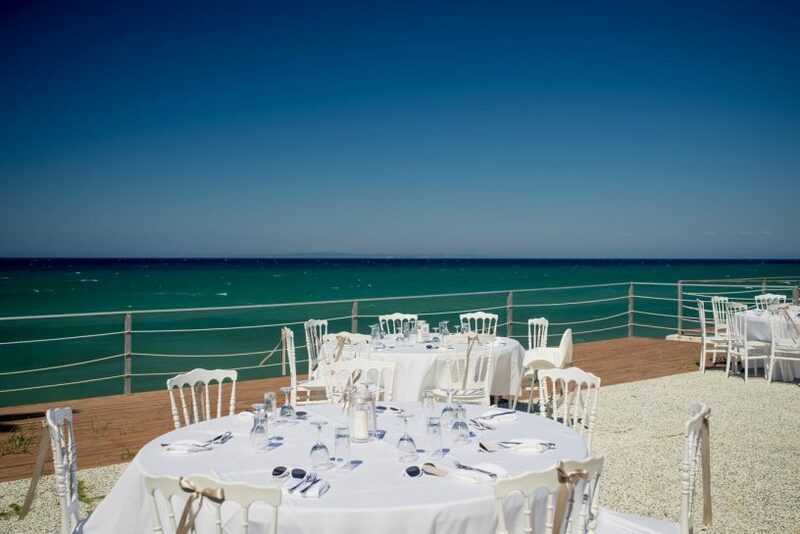 The weddings take place on the decked area overlooking the seafront. 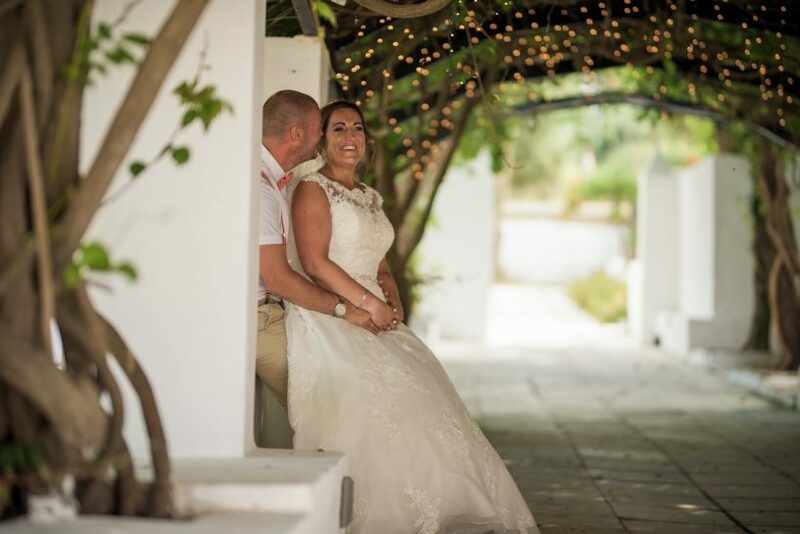 The grounds of the manor estate are painted in traditional burgundy colour symbolizing the houses of the lords in the ancient years. The bride makes her entrance under the tunnel of flowers and fairy lights as a proper princess walking over to her prince charming.